You know what? I’m pretty brain-dead right now. I’m 10,000 words away from finishing my first read-through of the finished (sort-of) book 3 manuscript. I’m absorbing what my husband said about it and wondering if Imogen, my editor, will agree. Meanwhile, book 2 is sneaking itself into bookstores and a tiny part of my brain is already asking for permission (refused) to get down to a chapter plan for book 4. So I don’t have the energy for a blog post. I’d love to tell you what it felt like to get MY VERY FIRST ROYALTY STATEMENT. What an amazing, epic moment it was to see actual money I’d earned from being a writer – as opposed to advances, which are lovely, but are based on hope and enthusiasm, rather than cold, hard sales, which are scarier, but frankly, nicer. I’d love to tell you about my sensible plans for careful management of the royalties, so we can do stuff like buy groceries, and my mad plans for holidays and jewellery, so I can mark the moment. I’d love to show you my beautiful Dutch copies of Threads, and my beautiful German copies of Threads, both of which arrived this week. They’re gorgeous, and rendered more intriguing by the fact that I can’t understand a word of them. (Apart from ‘und’ and ‘der’. I can do ‘und’ and ‘der’. But Dutch? Literally nada.) Actually, I will show you those copies. I’ve taken the picture. I’ll upload it as soon as I have the energy. Watch this space. I’d been planning to talk about Jewel’s dress in Bliss magazine, which should be on the shelves now, but I was so busy doing my read-through I forgot to go out and buy a copy. Oh my God! I’d love to talk about all the events happening this year. There are so many of them! Poor book 4 will have to be planned and written on the back of envelopes on trains and in hotel rooms. But I can’t tell you about any of it, because my brain is saving what little energy it has left for the final bit of the read-through. Finishing a book is weird – for me, anyway. Having been bound up in it for months, as soon as I can feel the end approaching, I get extra-sensitive to the story and start worrying about tiny details. It’s definitely nearly time for me to put it down and step away. But before I do, I’m carrying every plot line, every character, every joke and scene change in my head, and wondering if they work. My synapses are fully occupied. It’s a wonder I can make a cup of tea. So no blogging from me, I’m afraid. Just a reminder that there are only 3 days to go if you want to enter the competition to win a signed copy of book 2. 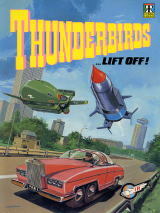 When your 3 year-old is obsessed with Thunderbirds, you do a lot of counting down. You start with 5 and end up with Thunderbirds are GO! When you’re an author, you also do a lot of counting down. You start with an idea for a book and end up with … so many things. I had no idea. I thought you ended up with a book, but I was SO naive. That’s just the start of it. There’s counting down to the printing of the book (done), and then knowing that it exists in boxes in a warehouse somewhere. Then there’s counting down to the moment when you get your first review (also done), or the books go on sale online, or you get your own big, fat copies – whichever comes first. Then there’s the launch party, if you have one, and other reviews by people you really want to like the book (assuming they talk about it), and reaching a respectable ranking on Amazon (which your publisher rightly tells you not to worry about – hahahahahahahaha). So basically, there’s a lot going on at the moment, and a lot to come. At some point this week, you’ll be able to see Jewel’s competition winning dress in the new June edition of Bliss magazine. More on that soon. Accompanied by some of the photos I took on the day, which are FAB! But if you can’t wait, you can create your own magazine looks – perhaps inspired by Nonie and Crow – on Polyvore.com. It’s fantastic website, recommended to Jewel by the SartoriaList Scott Shumann himself (ker-langgg) when we met him at London Fashion Week (ker-langgg). It’s also been recommended to me by one of my readers recently and she’s done a set with Nonie, Jenny and Edie on it. I AM SO TOUCHED! And if you can wait, and you want to see my ideas of what Nonie, Jenny, Crow and Edie are like, you can come and see me at the Hay Festival on 4 June. YAY YAY YAY!!!!! Before that, I’ll be talking at St Angela’s Ursuline Convent in Upton Park on Friday. Go, girls. Can’t wait. Now I’m already on my book 3 countdown. Finish in two weeks … editing over the summer … proof copies in the autumn … publication next year. It’s never-ending, this writing lark. I LOVE IT! I’m just praying I get to keep doing it. THREADS ARE GO!!! Now that spring is here, the sky is blue and colourful things are growing everywhere, I spend as much time as possible in the garden. Along with birdsong and the occasional returning plane (yay!) you can hear the gentle warbling sound of me begging my 3 year-old not to drown some poor pot of tulips with over-enthusiastic watering. But it wasn’t always like this. Last year we hardly went out at all. Last year the garden was full of builders, bathroom fittings, stuff from our old, rotten shed that should have been thrown away by the last owners about 40 years ago and, as I recall, rain. Lots of rain. But it was worth it. Because when they’d finished putting the bathroom fittings in the new bathroom, the builders made me a shed. A new shed. 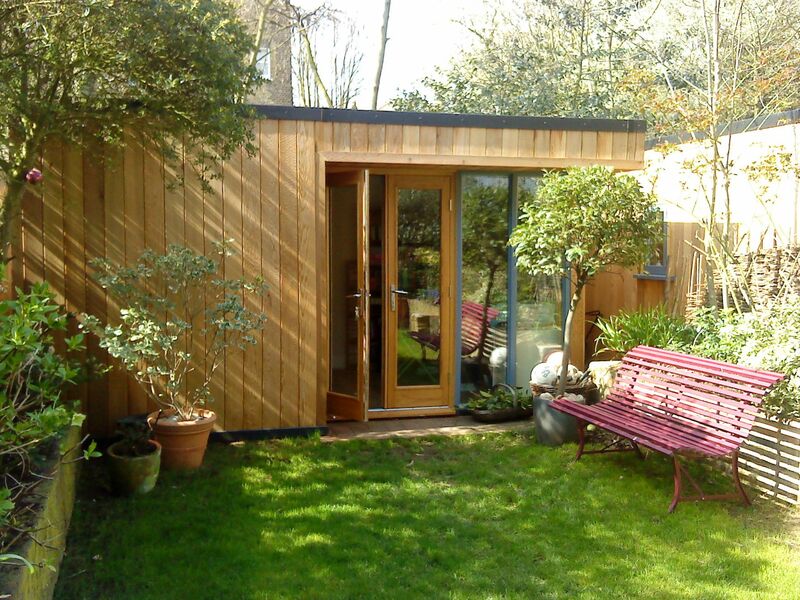 A shed that should properly be called ‘the summerhouse’, or ‘the garden office’ for me to write in, but as it sits on the plot of the old shed (built to look like a pre-war railway station), ‘the shed’ it will always remain. I spent ages choosing designs. In the end I plumped for one that was like a mini-Loire chateau. All steep, tiled roof and graceful windows. Then our next door neighbours showed us the minimalist cube they were going for at the same time, and at the last minute I decided to copy them. I’m glad I did. The result is sleek and self-effacing and beautiful. Which it kind of needs to be, because as you can see, it’s not exactly ‘tucked away’ in the garden. It basically IS the back end of the garden. Inside, it has ‘the writing end’, where I occasionally sit when I can’t face the local cafe or the library, and ‘the stuff end’, where we store all the things we can’t find room for in the house. 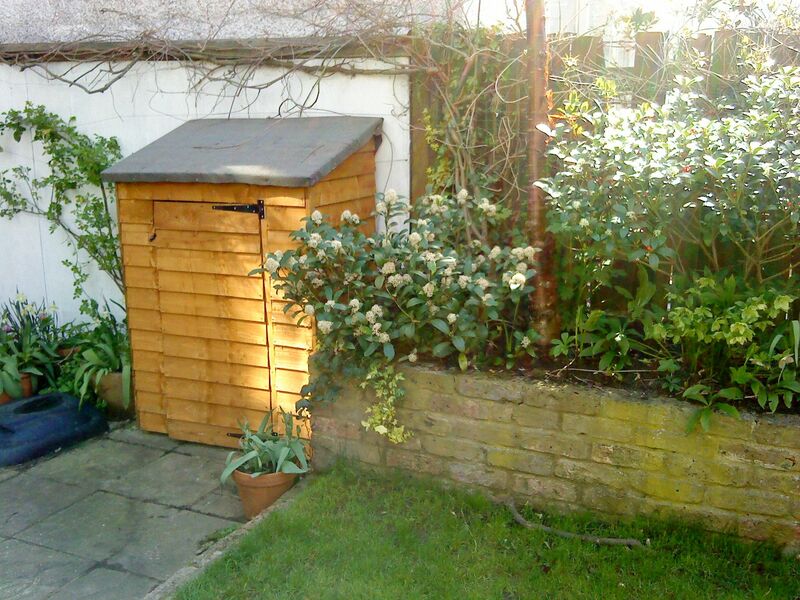 The trouble is, it’s so lovely I can’t bear to fill it up completely with gardening equipment etc., so I decided I needed another, overflow shed. Just before Christmas, I bought a shed kit. Then at Easter it was finally warm enough for my husband to make it for me. I cooked Easter Sunday lunch while my husband and elder son put it together, aided and abetted by the 3 year-old (who mostly sat on crucial bits and hid tools in his sandpit). This is now the ‘Little Shed’. It may not be as beautiful as my big shed. It may not contain my mood board, my books and my reference materials. In fact, it contains mops and spades. But it was built with love by some of my favourite people, so it’s still very special. At the London Book Fair on Tuesday I had a great catch-up with Barry, my publisher. He showed me pictures of his EXTREMELY BEAUTIFUL MAGAZINE WORTHY retreat in Scotland. With great pleasure and a certain sense of one-upmanship, I showed him pictures of my sheds. Oooh, I love it when the postman has to ring the bell. Usually – in fact, almost always – it’s because my husband has bought something on the internet. But every now and again it’s because there’s a parcel for me. And occasionally, that parcel is full of books. And sometimes, those books are my books. I LOVE THIS BIT! This week, there were two parcels. A big padded envelope and a box. In the envelope were my French copies. Don’t they look gorgeous? Happy, happy, happy. I’ve just done a two hour session on the internet, talking to French readers about the book, and about the process of becoming a writer. It was a cross between doing a really, really difficult exam (in French), and having a spa treatment (talking about myself and all my favourite subjects; but in French). SO worth it, though. 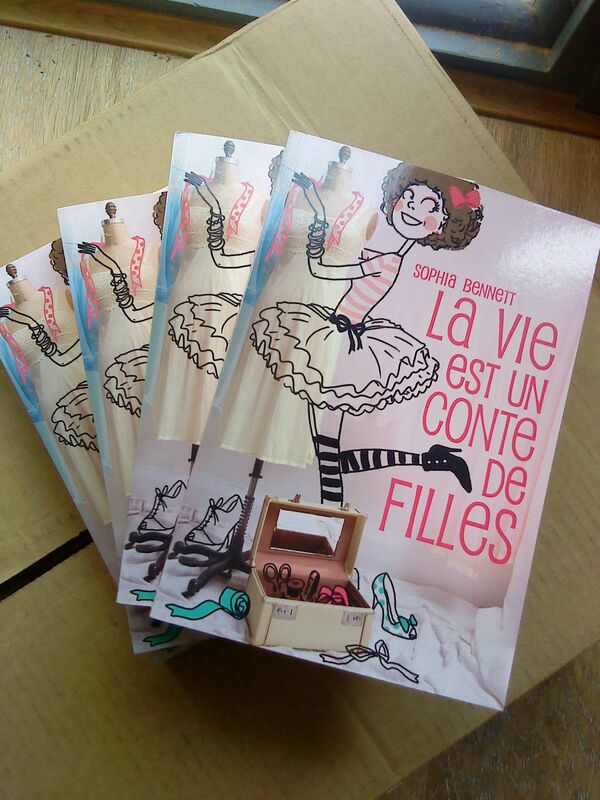 Fabulous to talk to readers directly, and wonderful to know that at least 3 people have read ‘La vie est un conte de filles’! And liked it. 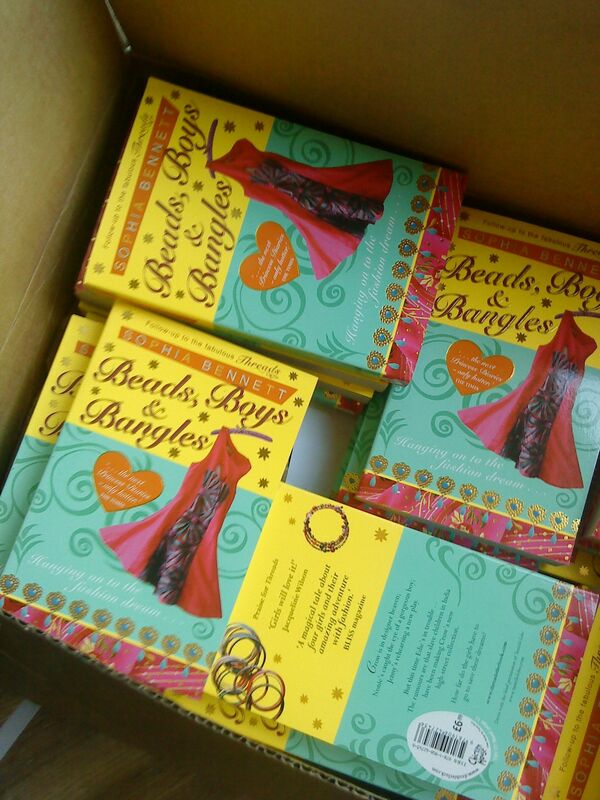 In the box were my copies of Beads, Boys and Bangles. Also gorgeous. How they will look on a bookshelf next to ALL THAT BLACK of bit lit (as we call it in the trade), I’m not entirely sure. People will need sunglasses! I can’t wait until they hit the shelves. Don’t forget – if you want to win your very own signed copy, my competition is still open. Just click here and follow the simple instructions. And if you are one of the many people thinking – ooh, that dress on the cover looks amazing, then you need to click here. The dress is by Tanielle Lobo, a very talented designer from Central St Martins who’s inspired by her home city of Mumbai. I think it makes the cover. Thank you, Tanielle! Next week is very exciting. I’ll be at the London Book Fair, talking to whoever has managed to get there despite the TOTAL LACK OF AIR TRAVEL and is also interested in teen fiction. But even more than that, I’m due to finish book 3. By ‘finish’, I mean write the final chapters, and then go back and start correcting all the bits I know need tweaking, before sending it off to my editor and then rewriting whatever we think still needs redoing. So it’s a relative term, but still an amazing one. 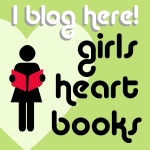 If you want to know more about the editorial process, by the way, try Sarah Webb’s blog about it. Very warm and informative, just like Sarah. Right. Off to get my beauty sleep before the whole Book Fair/finish series scenario. Good night! In the Threads series, Nonie’s favourite fashion magazine is Grazia. Might this be because the author normally has a copy of it in her computer bag? Or because it has a mixture of fashion trends and celebrity news that perfectly mirrors Nonie’s obsessions? Or because it is, quite simply, a genius publication? Anyway, this week life imitated art and Grazia Daily (the online version) talked about Threads. 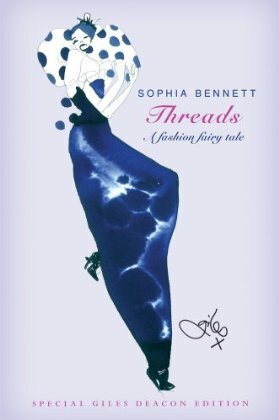 Okay, so we know we’re old enough to know better, but… we’re more obsessed than we should be with Threads by Sophia Bennett — a supercute book aimed at, well, girls about 20 years younger than us. It’s about an African refugee called Crow who comes to England, is adopted by the St Martins crew (weirder things have happened) and ends up becoming London Fashion Week’s darling. And it’s lovely! Even Giles Deacon thinks so — he’s designed a special cover for it. Read it or put it on your wall. Thank you, Grazia Daily people! And right back atcha! It caught me at a pre-launch moment (for book 2) that’s always a bit unsettling, when good news is much appreciated. Big smile now, though. One of the difficult things about being an ex-management consultant (there are a few … – another one is having to admit you’re an ex-management consultant) is that you have a tendency to analyse how processes are managed, and to get annoyed if they’re done inefficiently. Of course, lots and lots of people can do this: analyse and get annoyed. But if you’re an ex-thingummy whatsit, you think back to all the late nights working and all the charts and presentations you did showing people how to cut out the bad bits and it hurts just that little bit more. But sometimes, somebody gets something unexpectedly right, and you imagine all their late nights working, and the meetings they had where they suggested a really good solution and somebody else said ‘prove it’ – and they did – and it makes you just that little bit happier. I had to park the car yesterday. Not something I do very often, because I’m a walk-across-the-park and take-the-bus girl, but anyway, I was in a rush and I had to park the car and I didn’t have time to faff around with parking meters. And I didn’t have to. Somebody in Wandsworth has invented a system for paying by phone as close to perfect as you can get. A nice, automated voice talks you through what to do next, which isn’t much. When you’re done, you call the number again. And that’s it. No more typing. They know from the mere fact you called (why else would you be calling) that you’ve finished parking. You can just hang up. Or if something weird has happened, you can stay on the line and chat about it, but otherwise that’s it. You’ve parked. You’ve paid. There were so many points in that process where they could have made it more complicated. Could have made you call different numbers, listen to more options, type in more stuff, confirm your details or otherwise spend your time telling them stuff that they already knew or didn’t need to know. There’s one catch. If you forget to call the second time, they will charge you (understandably) for the maximum stay in the parking bay. But for me, that’s a small price to pay for the utter seamlessness of the process. I love you, automated Wandsworth parking! I never, never thought I would ever say that, but you are a little piece of my life that could be tricky, and isn’t. You are an elegant solution. You are Wandsworth’s answer to the ATM, almost everything about a Mac, and the Oyster card. Oh, and what I was trying to do was buy a birthday present for my younger stepdaughter. Cath Kidston. Ten minutes. Spoiled for choice. Bingo. Cheap parking, and worth every minute. So, that new book, what’s it about then? 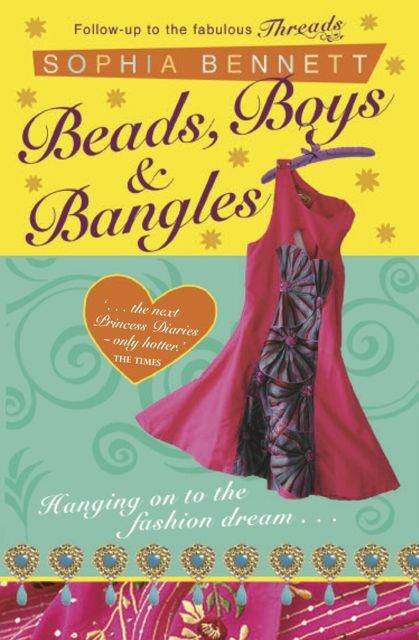 The thing is … if you’re going to try and win a copy of Beads, Boys and Bangles (see my last post) you probably want to know what it’s about. Here’s a bit of a teaser, to give you an idea. It’s the first book I’ve written that features a vintage Mary Quant dress, 20,000 historical elephants, Twitter, Audrey Hepburn and an improvised game of cricket in a Mumbai slum. I had a few mad moments writing it, but I’m all right now, thank you. Crow Lamogi is not a typical London teenager. She’s the sort of London girl who happens to be from Uganda, has already done a show at London Fashion Week and is now launching her first high street collection for Miss Teen. So far so good. Edie is busy with her world-saving website, which is becoming ever more popular. The trouble is, some campaign group from California has hacked into it and is claiming that Crow’s collection was made by child labour in India, and that Edie is a hypocrite for supporting Crow. The girls are busy. They have a lot on. They even have exams looming. So what will they do when Crow gets offered the chance to do another collection for Miss Teen and Edie’s website nearly makes the whole thing impossible? How far will they take their friendship? And would Miss Teen really send them all the way to India, to show them how the clothes were made? I hope you like it. Four weeks to go and counting … Yay!